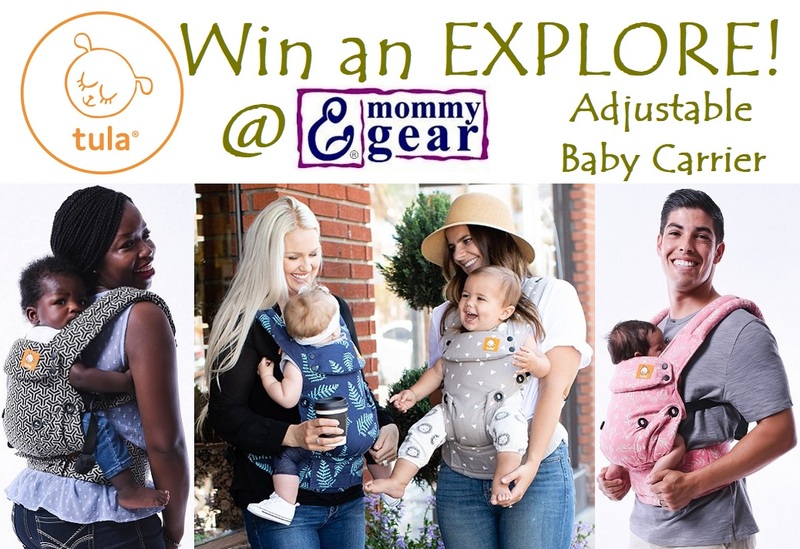 Enter to Win a Tula Explore Baby Carrier...you choose the color! Explore your baby wearing choices with the Tula Explore Baby Carrier. Multiple positions including front facing out, facing in, and back carry to comfortably wear your baby from 7 to 45 lbs without an infant insert. Each position provides a natural, ergonomic position best for comfortable carrying that promotes healthy hip and spine development for baby. Adjustable body panel has a padded neck support panel and three width settings to find a perfect fit as baby grows. 4 vibrant color & print choices in 100% washable cotton canvas. Enter below or on our Facebook page.